Avon NutraEffects has harnessed the power of nature with its new breakthrough Active Seed Complex made with chia seeds in its new skin care collection. According to the company, the seeds can hold up to 12-times their weight in water and are rich in omega-3 fatty acids. In addition to this, each NutraEffects formula is then blended with other nutrient rich seeds and skin loving antioxidants to target one of four skin care needs: hydration, balance, radiance, and signs of aging. The combinations deliver healthier, more beautiful skin from day one. All products are suitable for sensitive skin, hypoallergenic, and paraben- and dye-free. 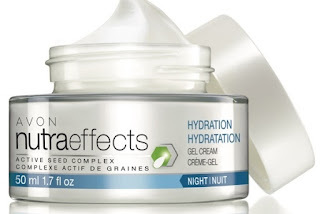 Avon NutraEffects Active Seed Complex Ageless Multi-Action Day Cream SPF20, Night Cream, and Eye Cream ($18).